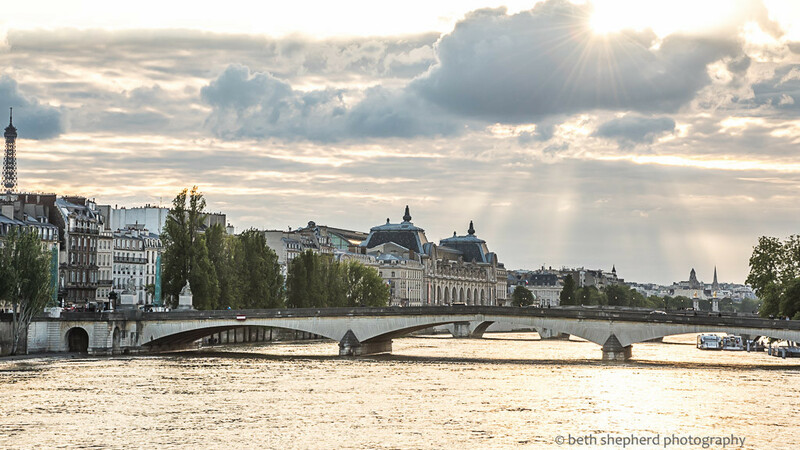 Sunny, cloudy, sunrise or sunset, I’m sure I’ve never seen a more beautiful urban river than the Seine, the je ne sais quois of stroll along its banks. 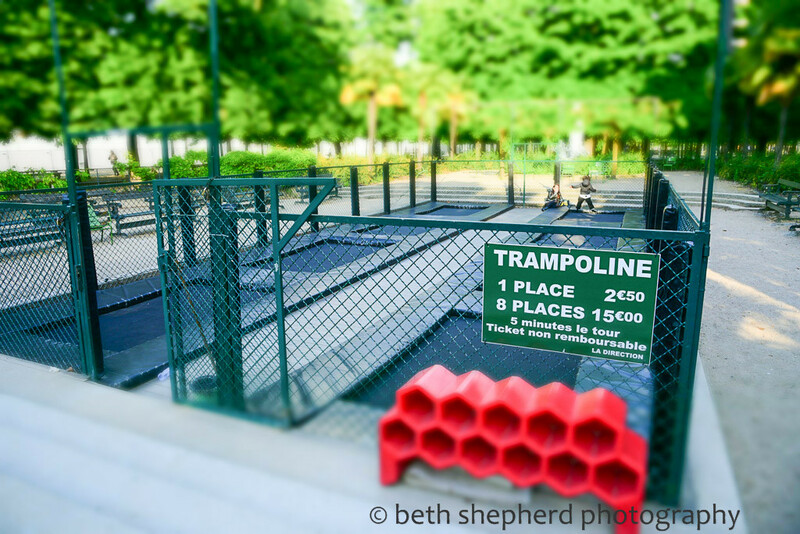 If you have kids, the trampolines are one of the Tuileries best kept secrets. 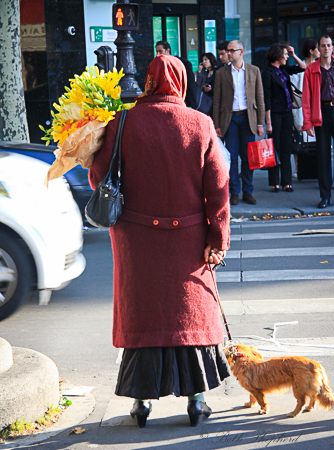 They are located at the end of the park closest to the Place de la Concorde entrance, Rue Rivoli side. 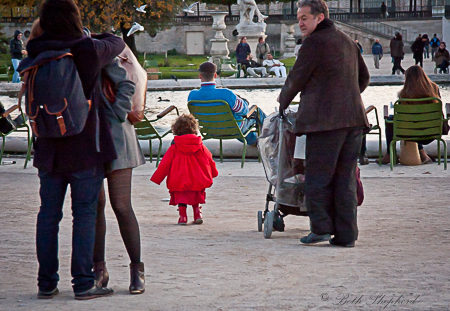 I went to the Tuileries many times before I finally saw them. They are a fantastic place to take your kid and blow off some steam (Adult tip: cafes with wine not far away). Each five minutes on one of the six very springy trampolines costs 2.50 €. There is also a pretty fabulous playground in the park. 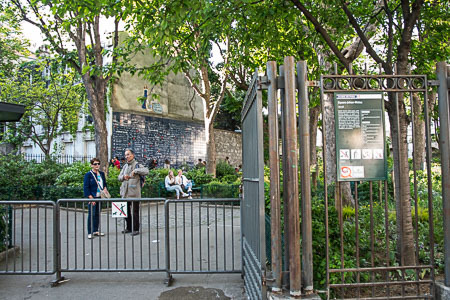 Parc André Citroën is a public park located on the left bank of the river Seine in the 15th arrondissement of Paris. It is a bit out of the way but worth, because if the air is calm you can go for a ride in a hot air balloon. 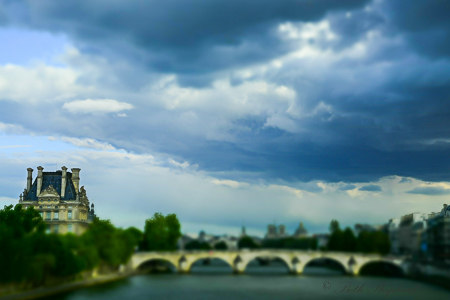 Balloon de Paris is not just any hot air balloon. It’s the biggest hot air balloon in the world! 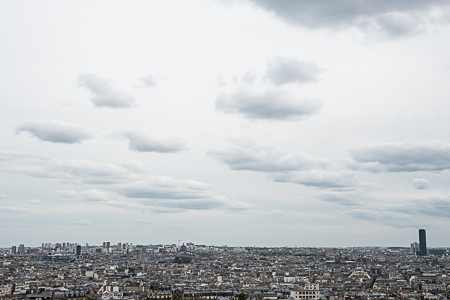 You get a unique bird’s eye view of the Eiffel Tower and all of Paris. 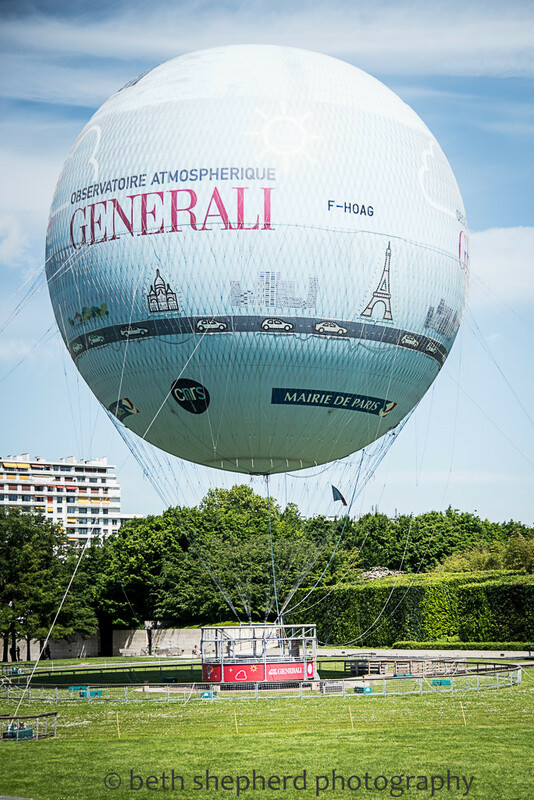 Flights depend on weather conditions, so contact Ballon de Paris on the day of your visit. You can check out their website where they give weather conditions and let you know if you can go up in the balloon that day: www.ballondeparis.com or +33 1 44 26 20 00. Prices: Adult €12, Children (3-11) €6, Children under 3 ride free. 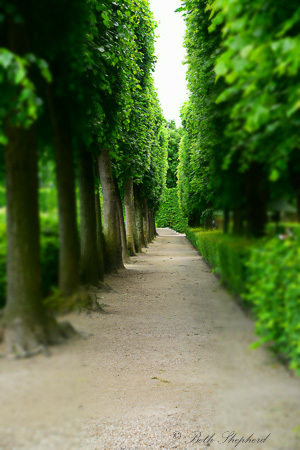 Jardin du Luxembourg is one of my favorite gardens in Paris. 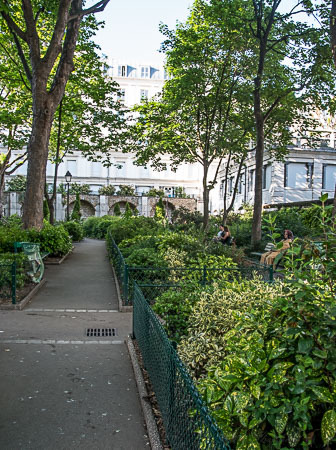 Located between Saint-Germain-des-Prés and the Latin Quarter, the gardens were built in the 1620s for Marie de Médici, Henri IV’s consort, because she was homesick for the Pitti Palace in Florence, where she had spent her childhood. 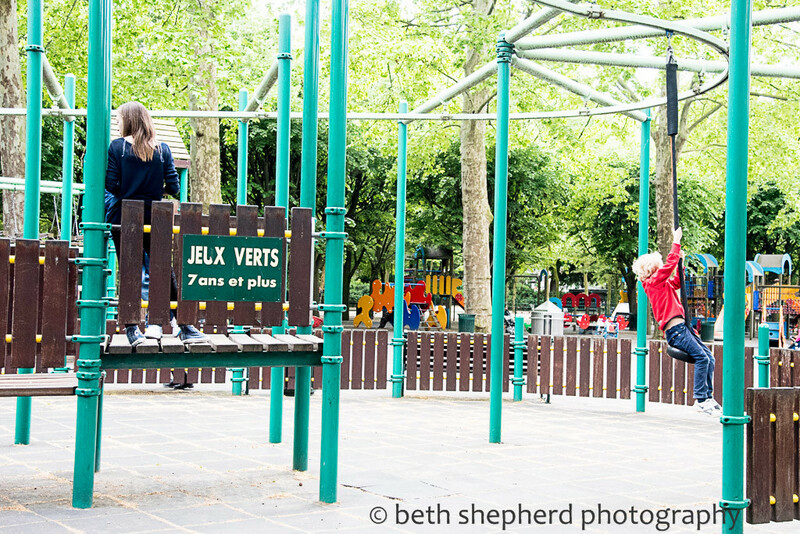 Beautiful states, lawns, chestnut groves and the Fontaine de Medici aside, the garden also has an amazing children’s playground–Parc de Jeux–with one of the coolest zip-lines I’ve ever seen. They do charge an entry fee (so worth it! ): 2.60 € for kids over 18 months, 1.60 € for adults. The playground has it’s own toilets and covered seating area, and you can purchase drinks and snacks at the entrance as well. Parc de Jeux is located next to the Les Marrionettes du Luxembourg puppet theater and also one of the oldest carousels in the city. 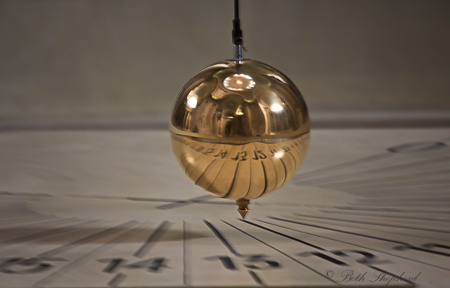 Be forewarned, Parc de Jeux does close promptly at 4:00 p.m. on weekdays. 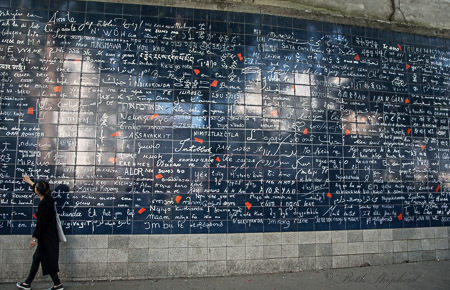 Want to go underground in Paris? 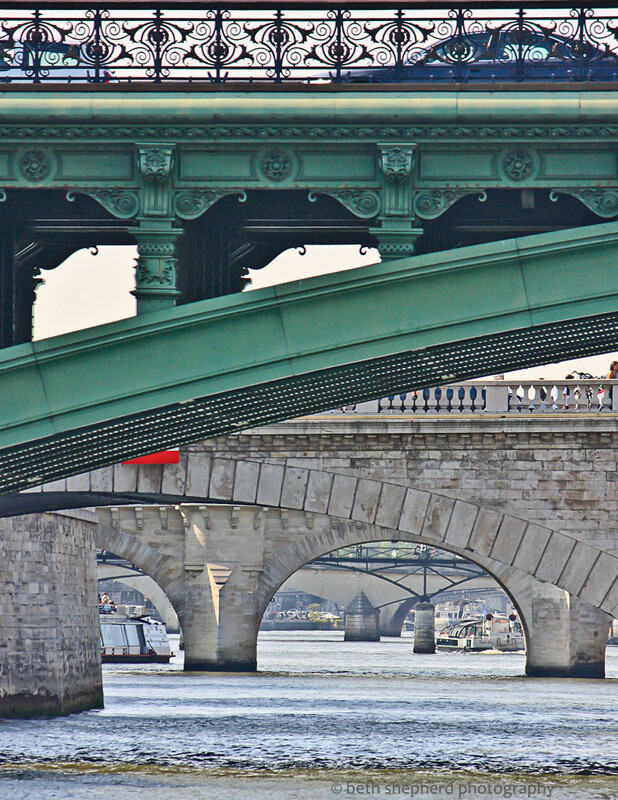 Hang out with the bones of 6-million Parisians–now dead? 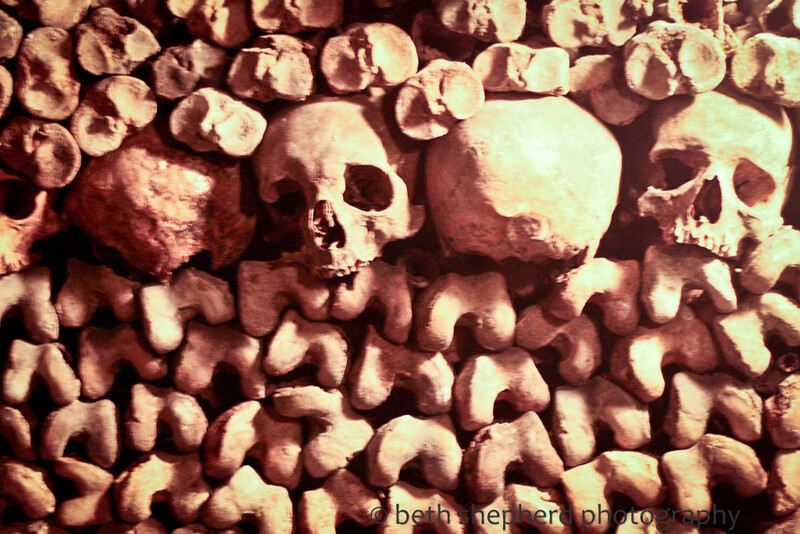 If this sounds like it’s right up your kid’s creepy alley, then head over to Les Catacombes in the 14th arrondissement. 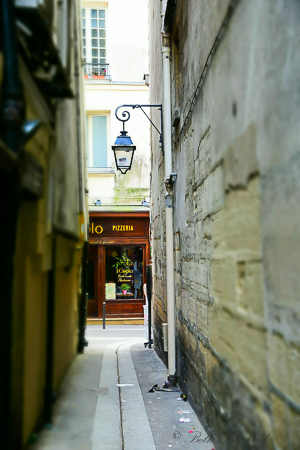 Walking through the dark subterranean passages, you’ll learn fascinating–if not macabre–tidbits about the history of Paris and how this labyrinth of tunnels became the graveyard for millions of Paris’s former residents. Kids under 18 are free but since lines can get very long, you might want to consider booking online. Make sure you print your tickets with the bar code before you go, otherwise you won’t get in. Not for young children or anyone with claustrophobia. Also no flash allowed so bring a camera with high ISO! Arènes de Lutèce is really cool. 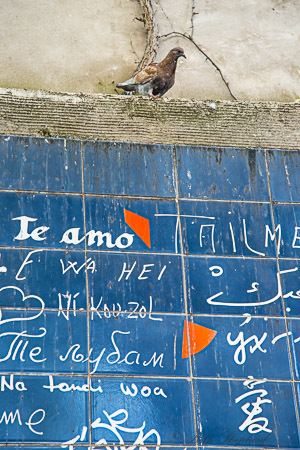 Hardly anyone, even Parisians, know about it, partly because it’s hidden in the 5th arrondissement. And I mean really hidden. The arena is semi-concealed by a few large apartment buildings situated around it. You could easily walk by the main entrance without noticing it. I did. 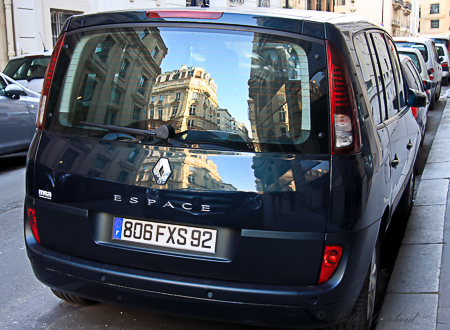 There are actually three different entrances but the easiest one to find is on Rue Monge. The entrance is at number 47 (on the left as you’re walking uphill on Rue Monge). You will think you’ve arrived at the entrance to one of the apartment buildings until you see the big cement gladiator helmet looming over the doorway. You found it! Arènes de Lutèce has a long history (literally). The amphitheater was erected in the 1st century but then destroyed during invasions of the 3rd century. It was rediscovered in the mid-1800s when Rue Monge opened and the site of the site of the arena was uncovered by demolition work. 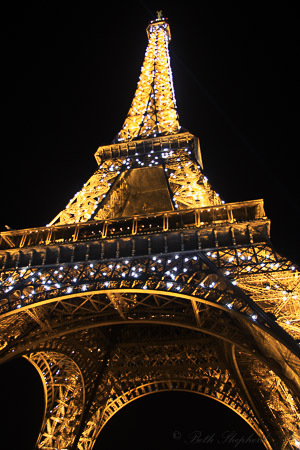 But it wasn’t until 1917 that it was restored to its current state. 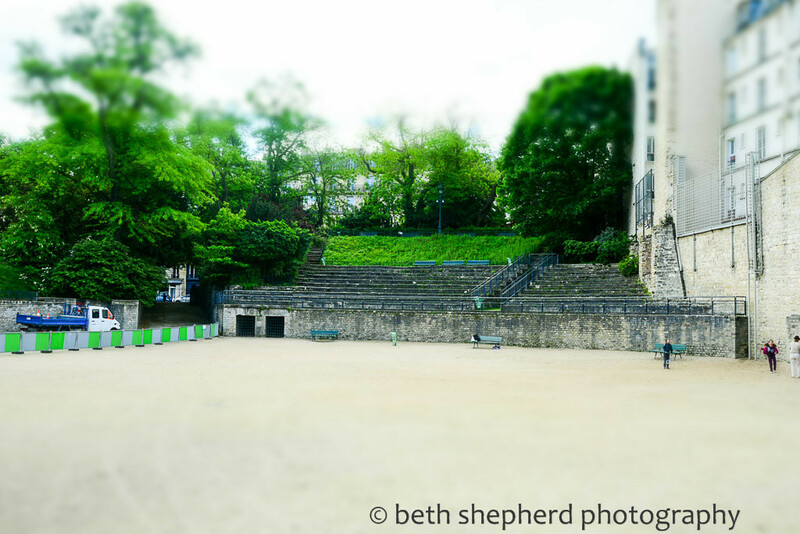 I’ve been to Arènes twice and it was quiet–a great place to eat your baguette and cheese while your kids run around. Occasionally you’ll find a children playing soccer, men flying kits or engrossed in a game bocce ball or a few people sitting on the stone bleachers. If you think you might enjoy a non-touristy spot with a history that dates back to the 1st century A.D., this is your place. Plus, how often do your kids get to pretend they’re gladiators in a real 2,000-year-old Roman arena?! 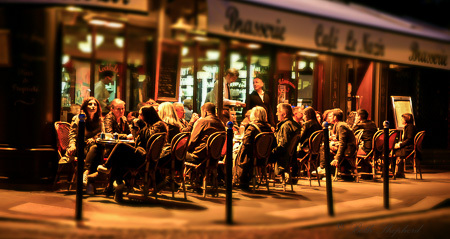 At night, Paris –La Ville Lumière– comes alive with luminescence, the soft glow from iron-grated windows, a steady beam from a streetlamp, and tiny candles from the thousands of cafes. 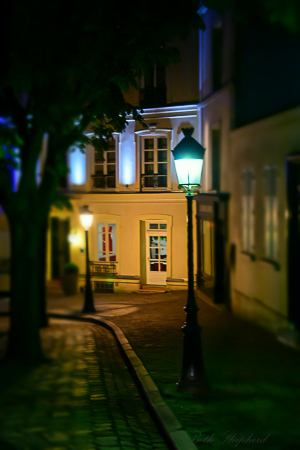 Paris has long been referred to as “The City of Light” both because of its leading role during the Age of Enlightenment, and more literally because Paris was one of the first European cities to adopt gas street lighting. 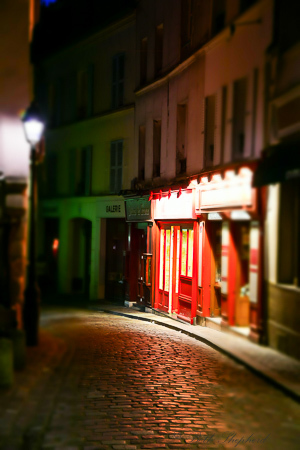 Here are a few night scenes with the lights of Montmartre, my favorite neighborhood. 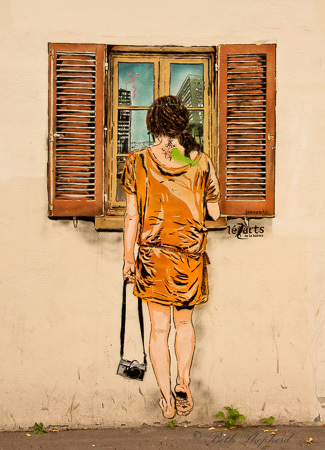 Most tourists interested in Parisian art head to the Louvre, the Pompidou Center or Musee d’Orsay, but you can find some great art right in the streets of Paris. 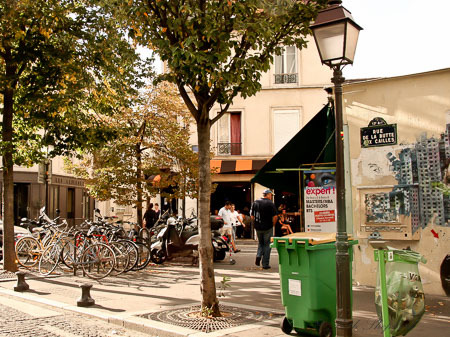 La Butte aux Cailles, in the 13th arrondissement, is the perfect place to get away from the hustle and bustle of city life, and walk the quiet cobbled streets filled with art. La Butte aux Cailles is quite different from most neighborhoods in Paris. 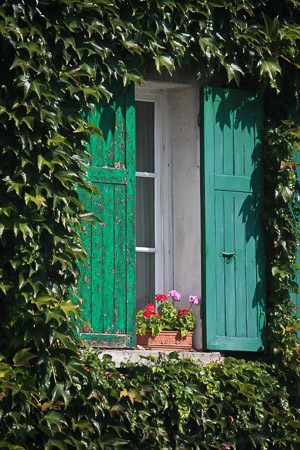 Quaint and quirky, nestled on a hilltop south of Paris, La Butte aux Cailles–or Quail Hill–was named after Pierre Caille, a former landowner in 1543. Centuries ago, the River Bièvre flowed through this tiny village filled with farms and windmills. During the 17th century numerous industries, such as tanning, centered around the river which led to Butte aux Cailles. An unfortunate consequence of the dye factories was the River Bièvre turned into an open-air sewer. Slowly, streets were built that covered the river. 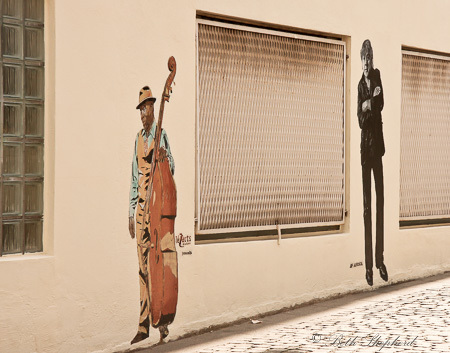 In more recent years, Butte aux Cailles attracted a great many artists including street art enthusiasts who have turned the district into an outdoor canvas. 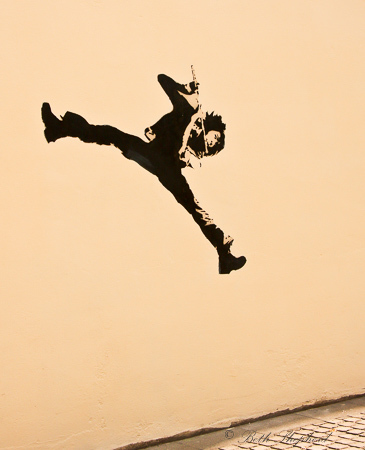 You’ll stumble across whimsical murals around nearly every serpentine corner. 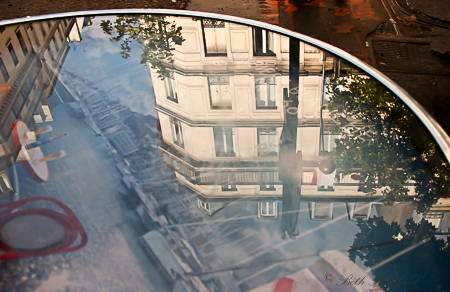 La Butte aux Cailles was one of my favorite neighborhoods in Paris. 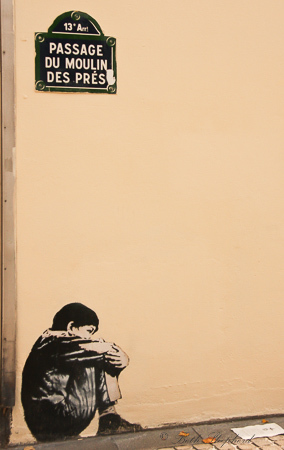 I loved wandering the streets and seeing the amazing murals. tiny one-story houses. Plus, it really felt like we were in a village, not an enormous city. If you happen to visit on a Tuesday, Friday or Sunday you can enjoy the outdoor market that takes place on Blvd. Auguste Blanqui. 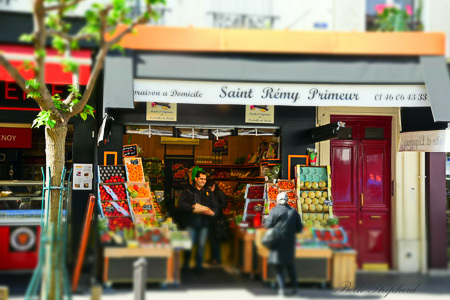 Or stop in Les Abeilles (21 rue de la Butte-aux-Cailles) and try locally made honey. I’ve heard the owner Jacques Schakmundès, has been spearheaded the installation of beehives in many Parisian backyards and rooftops. 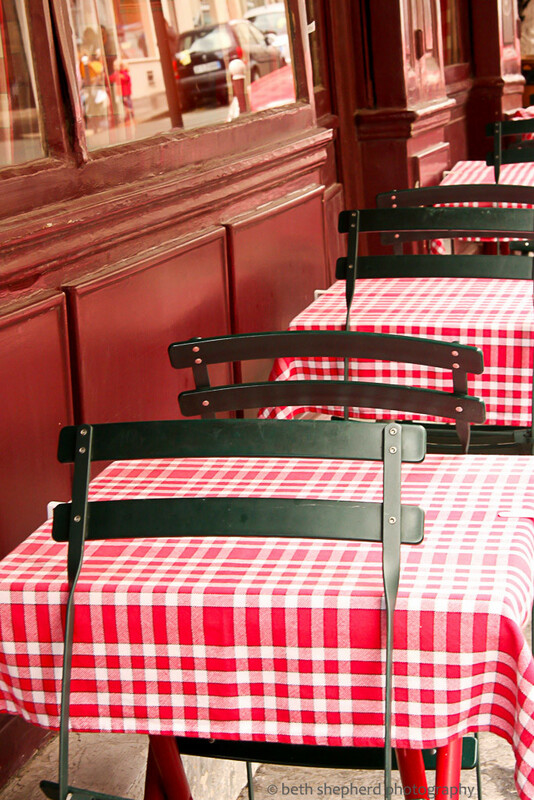 Pack a picnic lunch, or stop in one of the many cafes, and treat yourself to a side of Paris few visitors get to see. To reach lovely La Butte aux Cailles, take metro lines 5, 6 or 7 to Place d’Italie or Corvisart or the bus lines 57, 62, and 67. 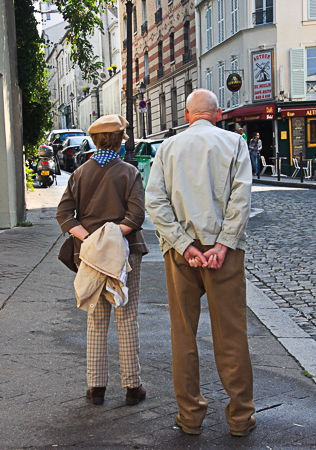 Strolling through Montmartre, you could easily miss it–a vineyard–in the middle of Paris. And not just any vineyard. 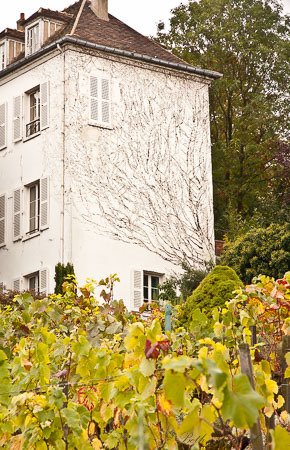 but the oldest vineyard in the City of Light: Clos Montmartre. 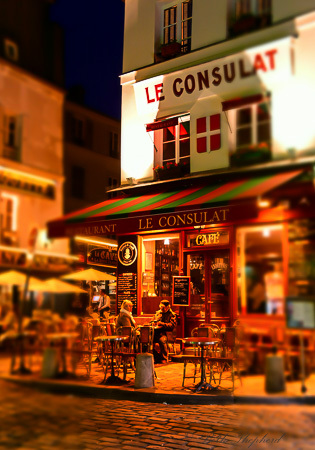 Vineyards have flourished on Montmartre since the Romans built a temple here dedicated to Bacchus, god of wine. A Benedictine abbey was created on the hill in the 12th century but destroyed during the French revolution. Fortunately Clos Montmartre was spared. But in the early 1900s, phylloxera destroyed the vines and the vineyard was left uncared for. Then, in the 1930s, a group of local artists, including the famous draughtsman and illustrator Francisque Poulbot, petitioned the government to grant them the land so they could replant the vines. 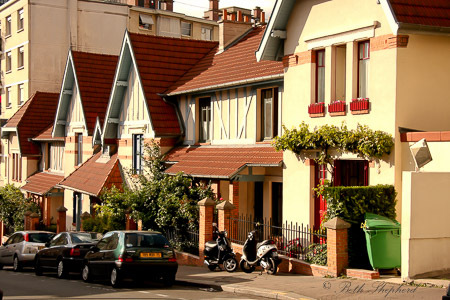 The plan was approved and Clos Montmartre was renewed in 1932. 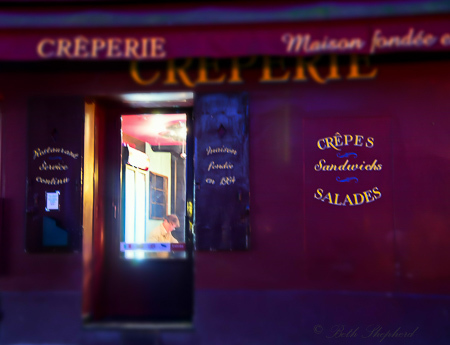 I love Montmartre. 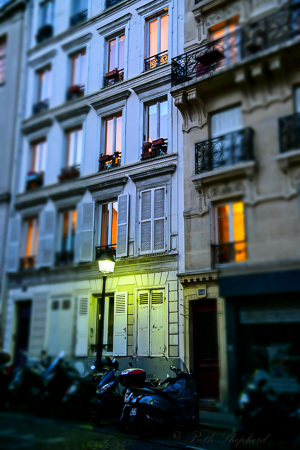 On our visits to Paris, it is the neighborhood where we’ve stayed. 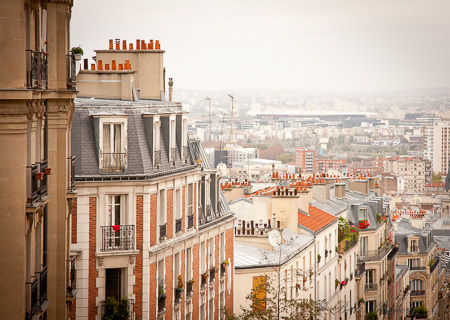 Winding streets and lovely views are immeasurably enticing. 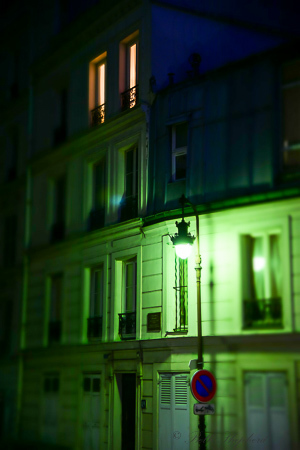 Sacre Coeur aside, the neighborhood became immensely popular following the release of the film, Amélie. 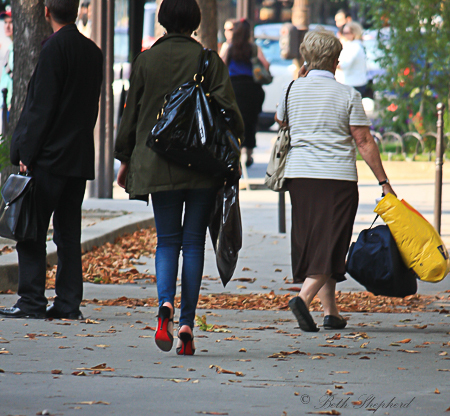 On all our visits, we’ve enjoyed self-guided walking tours using: City Walks in Paris: 50 Adventures on Foot (revised edition). 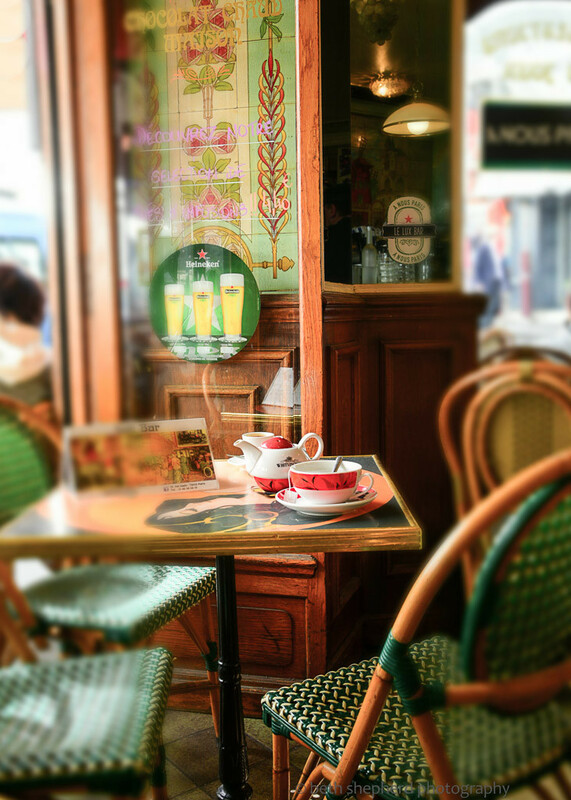 One of our favorite walks begins along Rue Lepic, the site of the lovely art deco cafe where Amélie worked, Café des Deux Moulins. 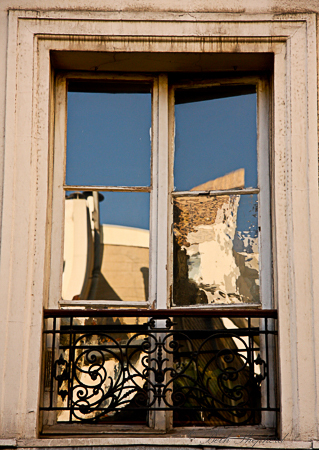 As you meander up Rue Lepic, you’ll pass the flats that several famous painters, Van Gogh, Picasso and Toulouse-Lautrec, called home. 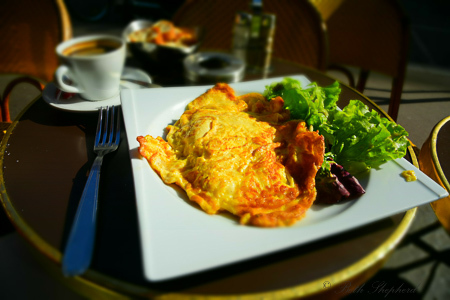 Continuing up the hill (a good workout, I should add), you’ll see the historic Moulin de la Galette, a windmill–still in operation–that inspired Renoir’s famous painting, Le Bal du Moulin de la Galette. At last you’ll arrive at the corner of rue des Saules and rue Saint Vincent where the working vineyard is situated against a colorful backdrop of vine-covered homes.Clos Montmartre vineyard stretches over 1,556 square meters (1,850 square yards) on a steep hill, grows 27 varietals (most Gamay and Pinot Noir), and yields 1500 half-liter bottles per year. However, the wine is only available for purchase (and drinking!) once each year at annual Fête des vendanges (grape harvest party). 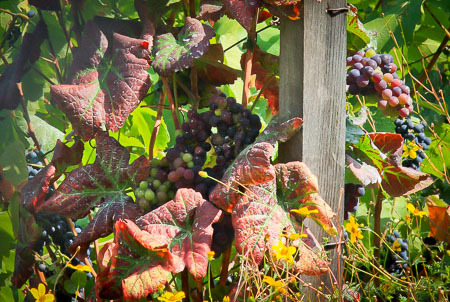 The Clos Montmartre harvest party has taken place every October, except during World War II. 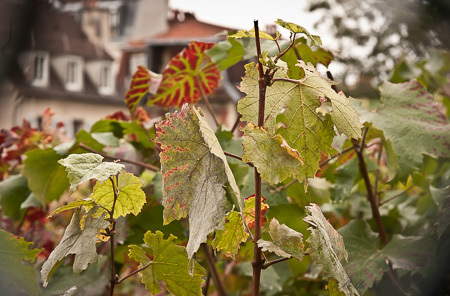 In autumn, the grapes are harvested and brought down to the basement of the town hall in the 18th Arondissement, where they’re pressed, fermented and bottled. Each year’s wine labels are painted by local artists and the money raised from sales of the $50 half-bottles goes to charity. 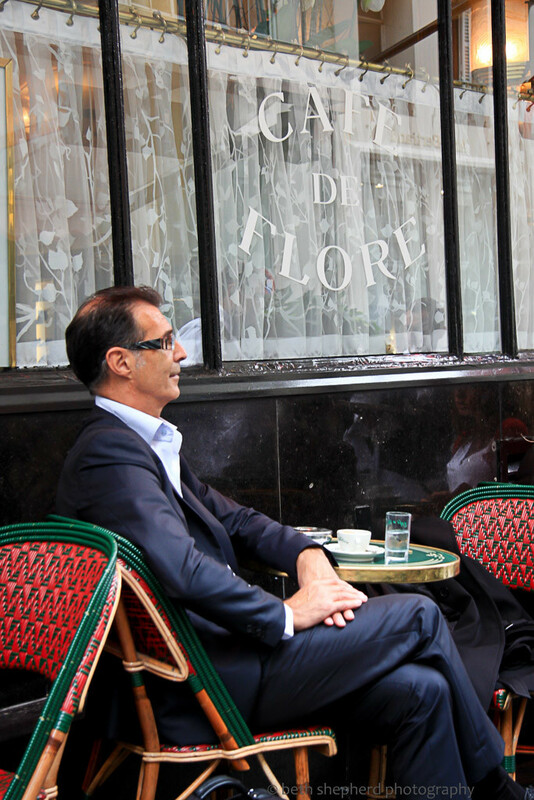 Francis Gourdin, has been Clos Montmartre’s oenological advisor since 1995. He leads guided tours during the festival and explains to visitors that although it’s not easy to make good wine in such a polluted spot, it’s not impossible. Those who have tasted Clos Montmartre give it mixed reviews, but the bottles are considered collector’s items and are a great souvenir from a fun charitable event. 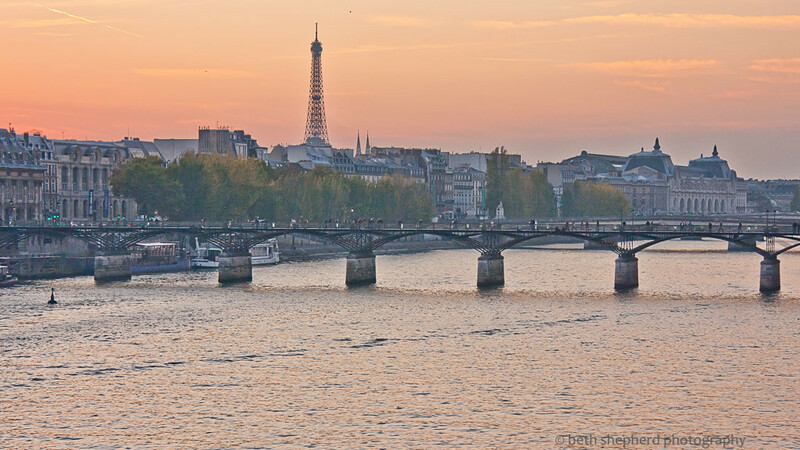 If you have the good fortune to be traveling to Paris a week from now, Fête des vendanges will be held October 8-12. You can get more information about the festival here. Note: The Montmartre Vineyards are usually closed to visitors. 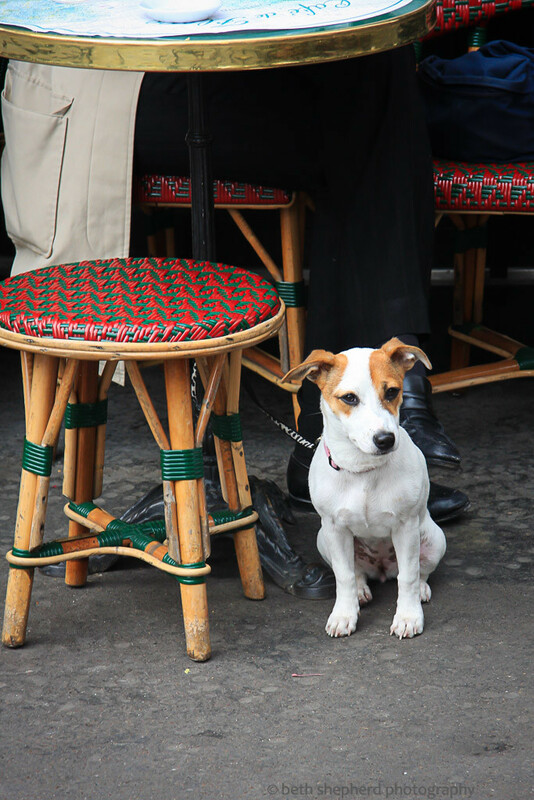 If you are unable to visit during Fête des Vendanges, entry to the vineyard can be arranged through the Montmartre tourist Office at Place du Tertre, if you are in a group of 12 or more. Once inside, you will pay for a tasting, although the tour is free.